Prada, S.p.A. is a well-known Italian fashion company (also known as a "label" or "house") with retail outlets worldwide. 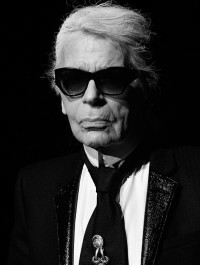 Currently Prada is considered one of the most influential clothing designers in the fashion industry. Following the lead of other companies in a popular trend to absorb as many other fashion houses as possible, Prada took on large debts when it acquired the financially floundering Rome-based house of Fendi in the early 1990s. Prada assumed shares in Fendi with the LVMH company. Prada was unable to turn around/support the money-losing Fendi label, and sold its Fendi shares to LVMH. 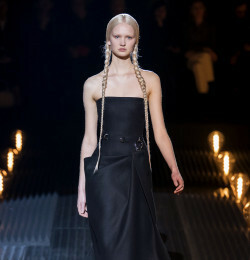 Prada is still recovering from this debt. In 1999, the company acquired Church's, the English maker of quality shoes; more recently a 45% stake has been sold to Equinox. The Prada Group's other notable purchases in the 1990s were the Helmut Lang and Jil Sander labels. By 2006, however, both labels had been sold. Jil Sander was sold to the private equity firm Change Capital Partners, which is headed by Luc Vandevelde, the chairman of Carrefour, while the Helmut Lang label is now owned by Japanese fashion company Link Theory. In May of 2007, Prada joined forces with cell phone maker LG Electronics to create the LG Prada (KE850) phone. It retails for $800. U.S. Boutiques in New Yrok, Chicago, San Francisco, Bal Harbour, Las Vegas, Ala Moana Center, Waikiki, Aspen. Worldwide Epicenters in New York, Beverly Hills, Tokyo and Boston. 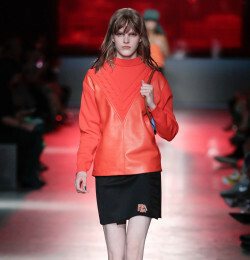 Fabrics - Miuccia Prada uses a lot of crunchy polyester, parachute nylon and other synthetic fabrics. Colours - she likes Battleship green, browns, white, cream, and black. Simple destructured shapes, knee length skirts, her skinny belts had become the currency of success in the mid 90's. Her clothes are not exactly fashionable. There is no defining accent, just a grouping of desirable useful things in exquisite fabrics. 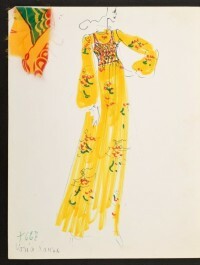 Her clothes, though often deceptively plain looking, have become widely influential. 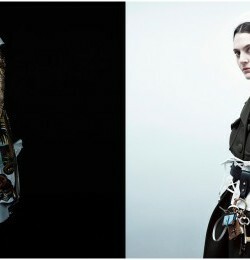 She gives traditional garments a modern handling, like trimming nylon parkas with mink and making trench coats and twin sets out of silk faille. 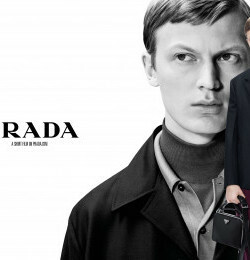 It seems that the whole world craves Prada's ice-cool minimalism and deadpan eroticism.